Tai Chi and QiGong Master Trainer Lily Cohen has taken her 35 years of experience and distilled it into easy, effortless exercises that you can do in small spaces...AND get the benefits of a mini-workout without breaking a sweat. 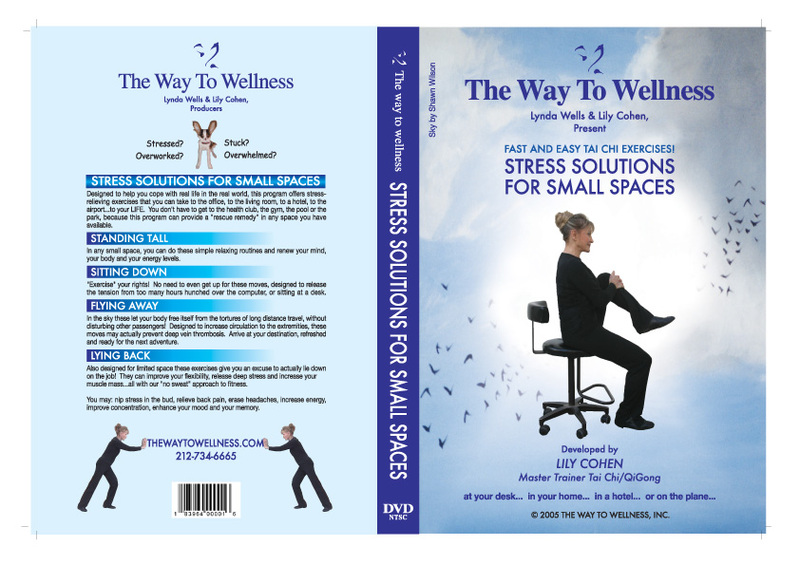 This Stress Busting DVD is a best seller in Israel and is now available in the other "Capitol of Stress," the US! Great for busy people, guru's crunched up at their computers and even people recovering from surgery. You won't believe it until you try it. Now!